Located in the NSW Central West region known as the heart of NSW, Condobolin is the largest town in the Lachlan Shire. Capturing the essence of life in the bush ‘Condo’ lies on the banks of the Lachlan River, an hour’s drive from Parkes and Forbes and is known for its natural beauty, friendly and welcoming locals and relaxed bush lifestyle. 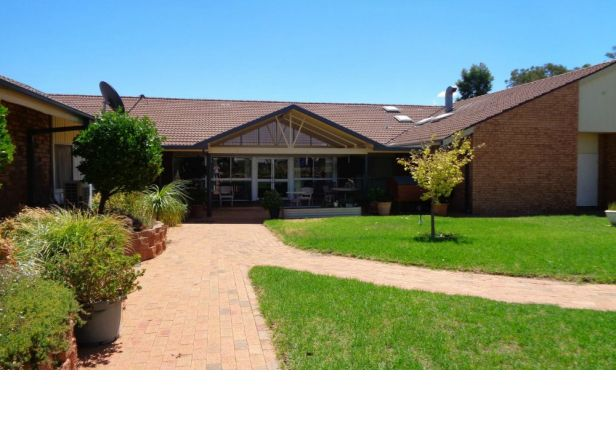 Robert White Village – Condobolin is located within easy walking distance of the railway station and just a short drive from the heart of town. At our pet-friendly village we aim to assist all residents to maintain as much independence as possible. Village residents are invited to attend all functions at William Beech Gardens, as well as all activities and bus outings, including morning teas, exercise group, church services, bus outings and Friday happy hour. If the time comes where you would like some additional help around the home or care, our RSL LifeCare at Home team can assist. It is also reassuring to know that William Beech Gardens – a fully accredited residential care home – is also located nearby. Your new home awaits at Robert White Village.